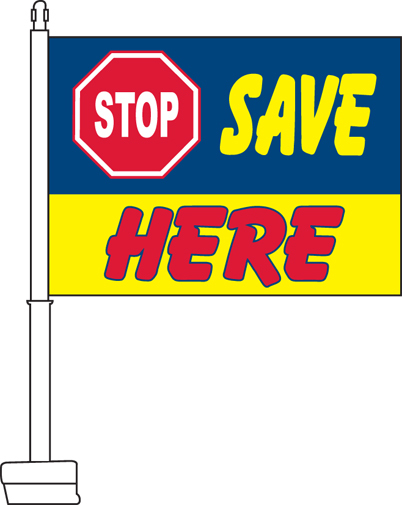 Our Stop Save Here Car Flags feature an upper blue field printed with a red stop sign and the word "Save" in bold yellow text. 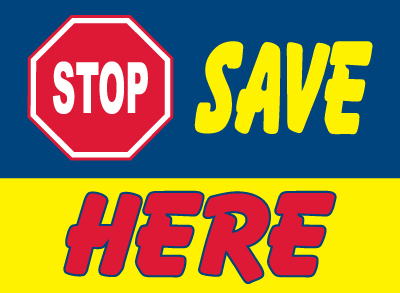 Beneath this is a yellow field printed with red text outlined in black that reads "Here." 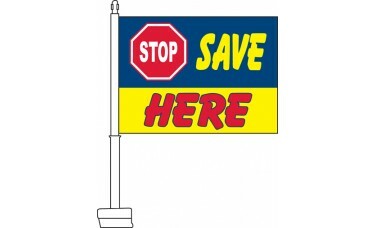 These flags are extremely popular with car dealerships looking to attract new customers.